It is good to be able to buy earmuffs at this price ~, it is recommended. This review is about item#6739275. Although it looked crappy, it is unexpectedly easy to use and functions well. I feel a sense of oppression somewhat because of the strong strength of the hold down. It was a better feeling than expected as regards blocking sound. It gets overwhelmed because it spreads out of the band when wearing it. Although the ear part turns, I wonder which one to use on. It is very useful for treating concrete and others. Although it is not perfect sound insulation, it is a very good commodity for the protection of the ear. I think the cost performance is reasonably high. However, there is somewhat anxiety about durability because it is made of resin. This review is about item#06739275. Can be mounted from various angles! Since the mounting part rotates, you can turn the part of the band under the neck, behind the neck, and above the head. (Although it rotates, the current situation does not feel a problem of strength) When compared with those of less than 1000 yen such as home center etc., mounting pressure is small, but I think that sound insulation is about the same. In addition, the size seems to be somewhat larger. If it is not a hard hat such as a straw hat, you can wear it with it attached. I would appreciate it because I can not find other products that rotate like this, but I think it is slightly expensive. It is reasonable barrier property, selfishness is good. Noise can be reduced normally and you can concentrate on your work. If you want more noise cut, you have to choose one with a price range higher than this one. I am using it when the sound is noisy (when draining the compressor, electric motor, when using the air tool). I think that the sound insulation is enough, enough. I use it only a few times a day, but it is quite good even after two years have passed. It was saved, as it was not handled quite well at local home centers. I cut a lot of noise. Looks, it is very cheap, and blocking of sound etc. is not so good. The sound became quite small. Head part is pretty hard. I do not know well whether it is cheap. I am using it in the cutting process, but since it is not a site where noise has continued all the time "degree of conversation is possible" is just right and always in stock. Several people use it in individual storage, but it has been unexpectedly broke for the price and lasts long. I use it for air blowing work. Short time work (No problem if it is around 10 minutes, but I feel pain around my ears and ears when working for more than 1 hour. 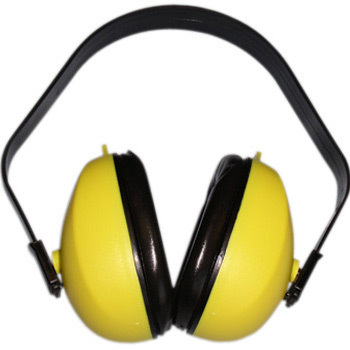 I bought it to protect my ears from the noise in my workshop.